Overall, I am impressed by the quality of this kit. 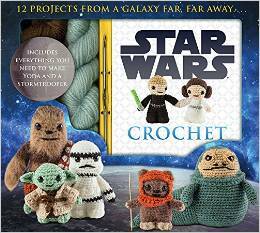 The kit includes enough yarn to finish two Star Wars projects, specifically one each of Yoda and a Stormtrooper, and after that you will need to purchase additional yarn, fiberfill, safety eyes, and other assorted items to finish more of the characters. The kit does not say exactly what size the yarn is but it seems to be at most a worsted weight 4 and it appears to be acrylic and/or wool rather than cotton. It does state that the models shown in the book were made with either weight 4 or 3 but doesn’t detail which is which. Overall, I am impressed by the quality of this kit. 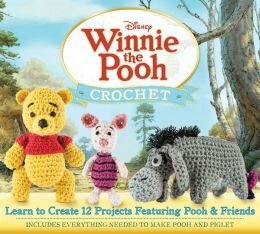 The kit includes enough yarn to finish two Winnie the Pooh projects, specifically one each of Winnie the Pooh and Piglet and after that, you will need to purchase additional yarn, fiberfill, floss, and felt to finish more characters. The kit does not say exactly what size the yarn is but it seems to be at 4 worsted weight and it appears to be acrylic and/or wool rather than cotton. The colors of yarn included are: light gold (yellow), black, dark red, light pink, medium pink, and dark pink. The red in the kit seems much darker than that shown in the photo on the front of the box while the light gold (yellow) is much more drab than the modern Winnie the Pooh. It looks like a great color if you were crocheting a Classic Winnie the Pooh. The felt included is black. The floss is black and appears to be cotton. Also included is a tapestry needle (for the floss), an inexpensive crochet hook in size 4.00 (US G/6) and fiberfill. There are also fairly detailed instructions including many diagrams. 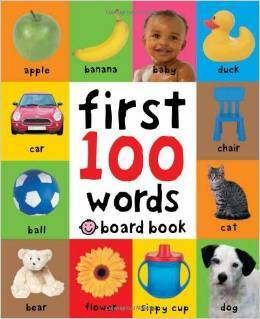 This is a really delightful book to read with a toddler. My grandson and I snuggle up and go through the book page by page – he points to the picture and I saw the word. For some items, I point to the picture and he says the word. It is helping him become more verbal. 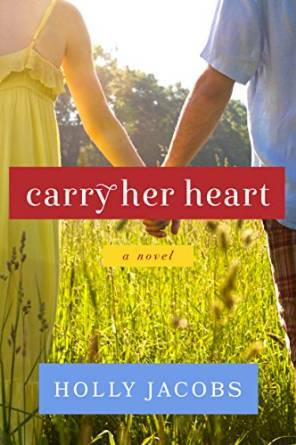 When I first sat down to read “Carry Her Heart”, I was expecting a fairly traditional romance. Instead, the book was a beautiful love story that, while it did certainly encompass a romance, dealt primarily with the absolute and complete love of a mother for her child. From the first few paragraphs, I was completely caught up in the world of Piper George. I cared about her and how her life would turn out. I spent more time weeping than I thought possible while reading a love story which was certainly more amusing than not. By the end of the book, I felt as if I had closed the book on a friend who I would miss while at the same time, knowing that she would have a good life made parting okay. 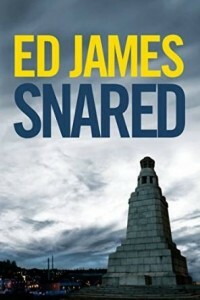 While Ed James has written a number of books, “Snared” is the first of his books that I have read. It is a stand-alone book; however, I think that it has the potential to be the start of a police procedural series set in Scotland about DS Vicky Dobbs. Vicky is a single mom of a four year old girl. She is juggling her hectic personal life with the increasing demands of her profession. She is having issues about not spending enough time with her daughter (though her mother and father are around to give her an excellent backstop) when a series of escalating crimes start.The book is quite long at close 544 pages. It makes sense if it is the start of a series as the book introduces a great number of characters. If it is truly a stand-alone book, there were a few more characters than necessary. I have been enjoying needlework as a craft for almost 40 years and have, in fact, been made my living in the craft for more than 15 years. I have many books about needlework (with more of an emphasis on cross stitch as that is the medium I design in) and I have never seen a book more inclusive of such useful information. 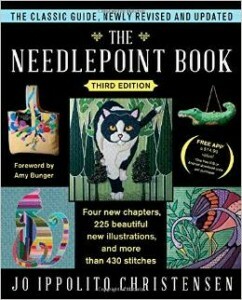 This book is truly a definitive work on stitches and materials. With all the many years that I have been working with needle and thread/yarn, there was so much in this book that was new and that I could use to learn and grow with. This is a very cute story about a girl named Pip who can talk to magical animals and understand their languages. Of course, no one believes her, so when she is having her conversations, most people think she is a little off. The results of those conversations can get her into hot water, too. 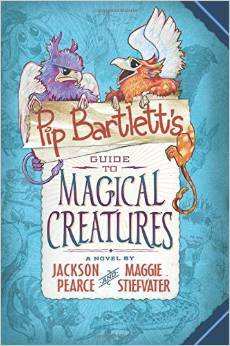 She is sent to stay with her aunt, who is a veterinarian for magical animals. Her parents feel this would be a good way for Pip to spend time with the animals she loves as well as keep her out of trouble for the summer. Pip teams up with a neighbor boy names Tomas. Turns out Tomas is allergic to almost everything and is pretty much a hypochondriac about everything else. I’ve been a fan of Chris O’Dowd for years and have only been able to see one episode of the television series this book is based upon. 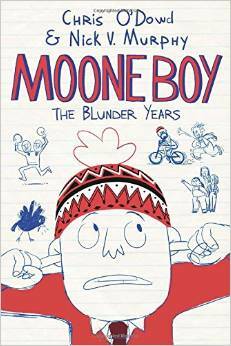 The book is a fun story of a young Irish boy, Martin, who is bored and determines that he needs an imaginary friend (IF) in addition to his realsie friend (who is busy all summer on the family farm. 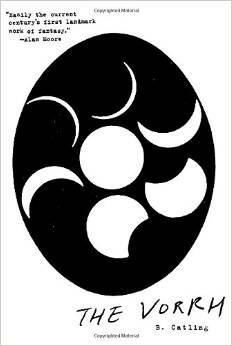 “The Vorrh” is an attempt to fuse multiple genres and writing styles into something new and different. Probably not unlike a Mexican Sushi fusion restaurant. You’re not exactly sure what you’re going to get. This book attempts to fuse steam punk, science fiction, fantasy, African folklore, American and English historical individual and other references in both third person and first person using the writing style a English literature professor would love. This is all combined in a single book. 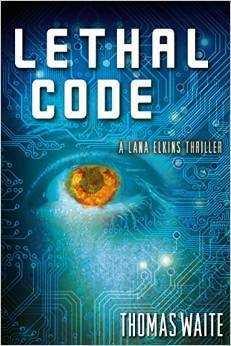 This was a mile a minute cyber attack thriller. The story was pretty intense and required a little bit of suspension of reality. There was attack after attack making the US look totally unprepared for cyberwarfare. This doesn’t seem credible – I suspect that there are many areas where the US is vulnerable, but the author is making it look like it is in all areas and that, aside from a handful of heroes in the book, the country is unprepared and ill-equipped. 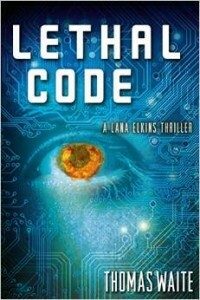 So, suspend reality a bit as you read the book and then it becomes a fun race-to-the-end story.